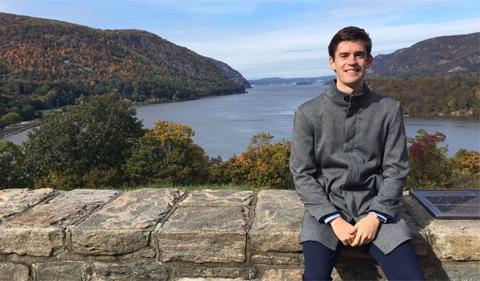 Undergraduate Political Science major and Cutler Scholar Max Annable recently attended the 70th Annual Student Conference on U.S. Affairs, held Oct. 24-27 at the prestigious U.S. Military Academy at West Point in New York. The conference gives college students from across the country a rare opportunity to participate in discussions on foreign affairs. The theme of this year’s conference, “Cooperation Reimagined: American Influence in an Increasingly Complex World,” provided delegates the opportunity to reflect on the role of the United States in global cooperation. This year’s keynote address was given by former National Security Adviser Susan Rice. 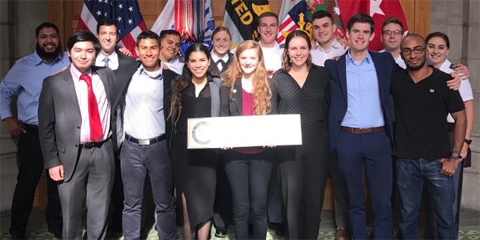 Western Hemisphere group at the Student Conference on U.S. Affairs at West Point. Annable, who is also pursuing a major in Global Studies – Latin America, participated in the Western Hemisphere roundtable, which was advised by a senior analysist from the Brookings Institution and a former national security adviser on South American issues. “Both brought depth to our conversations and provided incredible networking opportunities,” Annable remarked. 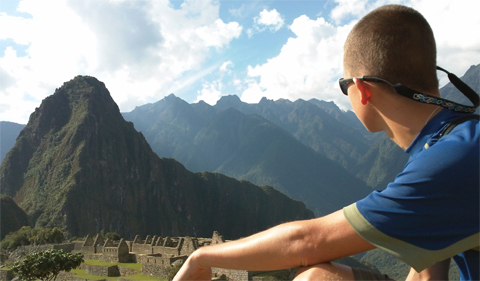 Ohio University typically nominates one or two students for the SCUSA conference each November. Applications are due late August or early September. For the 2019 meeting, students majoring in Political Science should contact Dr. Andrew Ross for details. War and Peace Studies also sends one delegate, and interested War and Peace majors should contact Dr. Nukhet Sandal.